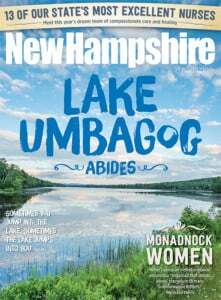 It’s easy to be active during the summer months in New Hampshire — you can hike, bike, surf or swim your way through the state. There are endless opportunities for keeping fit while enjoying our beautiful landscape, but every so often it’s great to take a more leisurely approach to appreciating nature. So what better way than a sunny, lazy, miles-long trip down a winding river? The Granite State is home to several stretches of river that are perfect for tubing solo, with a group of friends or family. And if totally-all-out-lazy isn’t your thing, you can kick it up a notch by including a riverside camping trip or combine it with a hike. kayaks, tubes and more. Overnight camping trips are also available. The Adventure Center offers tons of summer fun, including river tube rentals. Baker River, which in Abenaki is Asquamchumauke, or salmon spawning place, is a 36.4-mile-long river flowing through the White Mountains near Mt. Moosilauke. It eventually empties into the Pemigewasset River, and is a popular destination for canoers, kayakers and tubers alike. Tube rentals are available at Plymouth Ski and Sports in Plymouth. Affectionately called “The Pemi,” Pemigewaset means “where side current is” in Abenaki. It runs for 65 miles and begins at Profile Lake in Franconia, then moves south through the White Mountains, eventually forming the Merrimack. Camping guests at the Pemi River Campground enjoy free shuttle service upstream and then can tube 3-4 miles back down to their campsites. The Saco is probably the most well-known destination for tubing, and as a result, stretches of the river can be crowded, but if you are up for a more social experience, it can be a good fit. The scenery is beautiful as the Saco winds its way through northeastern New Hampshire and southwestern Maine, eventually emptying into the Atlantic at Saco Bay. There are several outfitters ready to supply your group with tubes and shuttle service. Saco Bound, located in Conway, has shuttles that run nearly every hour and several excursions to meet different needs. One offers a trip from their main base over a 3-mile-per-hour current to family-friendly Weston’s Beach. Bretton Woods is one of the iconic family vacation destinations in all seasons, but summer may be the best time to visit this beautiful resort. Warm weather activities range from golf to guided rock climbing adventures, though just taking in the views from the Omni Mount Washington Hotel’s gorgeous veranda is worth the trip. The Adventure Center organizes most activities, including tubing on the Ammonoosuc. You can rent a tube for two hours and enjoy the ride, though you will have to walk about a quarter-mile back to the launch site. The Connecticut flows along the New Hampshire and Vermont border. Great River Outfitters, which is just across the river on the Vermont side, offers self-guided float trips that range from three to eight hours long. Their most popular trip starts 5 miles upstream at Sumner Falls. Lasting three hours, this is an ideal choice for families. Longer trips of four, six and eight hours include shuttle service.